Following ten years of continuous efforts, Shaanxi Operation & Maintenance Power Co., Ltd. (O&M Power), has established a complete industry chain on power plant operation technical service. It's one of the earliest international enterprises in China, and has rich outsourcing service experience in overseas power plant operation project. 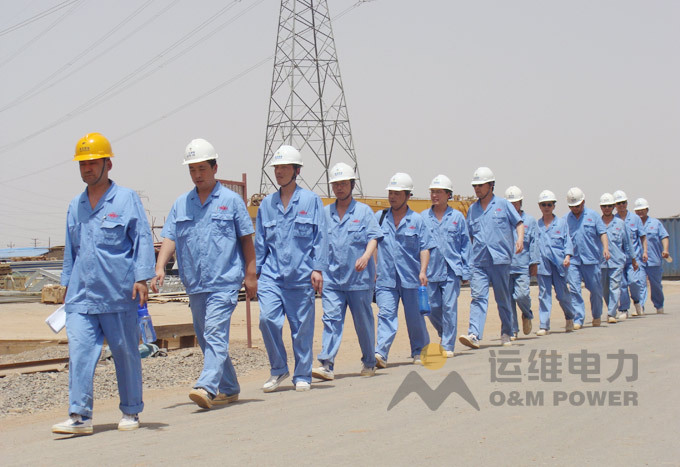 O&M Power provides one-stop packaging service for power plant project as main business mode, including commissioning, operation, on-the-job training, O&M Manual compilation, and performance test. Operation contracting of large-scale coal-fired, CFB, oil-fired, gas turbine, HRSG, and new Energy power generation units, especially, international operation contracting technical services, such as trial operation, warranty operation, commercial operation during the general contractor turn-key period of outsourcing overseas power plant construction project. The operation services were mainly undertaken by engineering division of O&M Power, there are six divisions in total. The No.1 and No 4 engineering divisions are in charge of CFB unit contracting, the No.2 engineering division is in charge of gas turbine operation contracting, the No.3 and No.6 engineering divisions are in charge of large scaled coal-fired unit operation contracting, and the No.5 engineering division is in charge of EPC contracting.